Migraine is a form of headache. Patient complaint of headache which can be pulsating, bursting or throbbing in nature. This headache can be on one side or it can involve both side/ the whole head. Such headache can last for few hours to even days. Headache can accompanied by other symptoms like vomiting and nausea. Patient also report high sensitivity to light and sound. 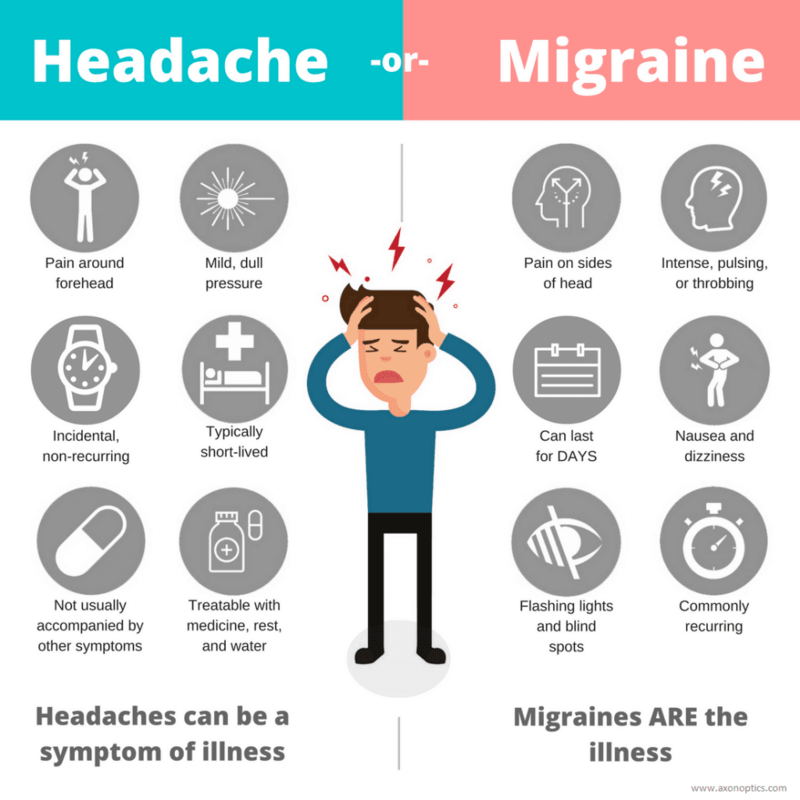 In few migraine cases, the headache is preceded by warning symptoms like temporary blindness, flashes of light or tingling sensation in the limbs. At Aura Homeopathy Clinic- India, we get patients who are on allopathic medicines from many years. Headache has become a part of their life. They learn to live with headache. It is very difficult for migraine patient to even think that he can be cured of this headache. They cannot even think that one day they will be able to lead a normal life, completely free from headaches. But after starting Homeopathy medicine, in couple of months and patient start forgetting that they used to have migraine episodes. This is the healing power of Homeopathic treatment. It is so effective for migraines. Today I am sharing the 5 best homeopathic medicines for migraines. Belladonna is one of the top used Homeopathy medicines for throbbing migraine headaches. Patient complaint violent headache which is throbbing in nature. Patient complaint of pain in temporal region which is throbbing in character. This headache starts with sudden onset without prodromal symptoms of any kind. The headache gets worse on touching it, patient is very senstive to noise, light and sudden movement or any kind of jerk. Exposure to cold air brings on the discomfort and pain. The headache gets better from pressure. The face of patient is red and hot. The pain increases in the supine posture, hence patient feels difficulty while lying down. Glonoine is best used for congestive Migraine headaches with rush of blood to the head. Readness and heat of the head and face is noticed. Headache is usually throbbing in nature. Patient complaint of shock feeling in the head and which is in sync with his pulse. 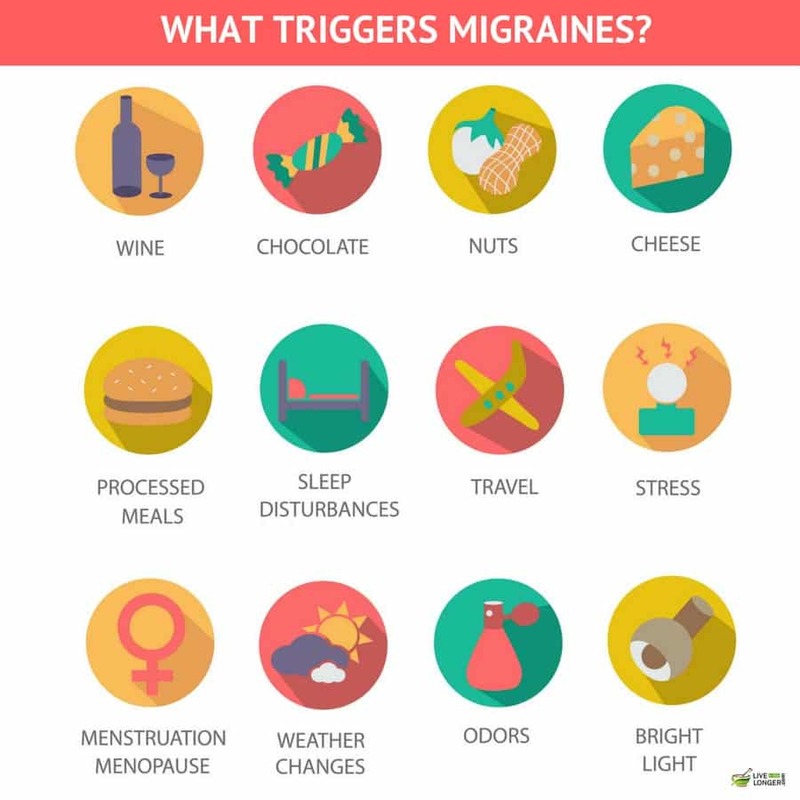 Migraine gets aggravated by heat in any form or going out in the sun. Warmth of any kind is totally not tolerable around the head. Patient feels good from uncovering his head. Natrum Mur is among the top used for mental stress and grief and migraine headache which arises from it. Patient usually weak and very anaemic young girl with sever headaches. Patient complaint of temporary blindness along with migraine. The patient complaint sever headache, with sensation as if thousands of hammers beating inside her head. Headache increases at day time and it gets better after sunset. Headache with paleness of the face. Headache usually gets triggered by eyestrain. Sanguinaria is best used homeopathy medicine for right sided Headache. The headache usually starts from the occiput and finally get settles into the right eye, with distention of the veins of head and temporal region. Migraine episodes are periodic in nature and it is reported on every 7th day. Patient feels better from sleeping and lying down. Spigelia is one of the top used homeopathy medicine for left sided migraine headaches. Patient complaint that headache settles over the left eye, with a constrictive feeling around head, as if there is a tight band around his head. Headache is aggravated by motion and touch. Note:-It is generally recommended that patient obtain professional care for chronic or potential dangerous health conditions. Homeopathy is a form of holistic medicine in which treatment is tailored to the individual. Homeopathy can be used alongside conventional medicine when necessary to give an integrated approach to your healthcare.